I had this album when it first came out, but it has disappeared - perhaps loaned to someone and never returned. It seems to be unavailable now. It's a truly great album which fuses traditional and contemporary music. Have a listen to the track 'Play'. "Try and find those things that make us Scottish. They are not necessarily Tartan, but are no less colourful. They are in the sound of the kick drum, the bass line, the distortion, the punk guitar, the break-beat. Try and see the old ways in new surroundings. The folk tune of long ago can be heard above the constant traffic of urban life: hear it in the roughness of the fiddle, hear it in the sweetness of the chanter. They are just as valid now as any of our technology, nae, they are more valid than any of it. 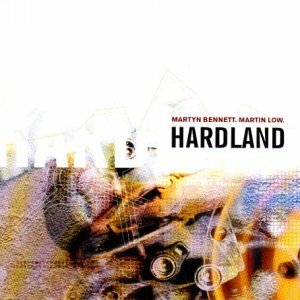 Hardland calls from the depths of a hard-beat urban underground, but it does so through the heart and beauty of a high land."